The X-band transponder LaRa is designed to obtain two-way Doppler measurements from the radio link between the ExoMars lander and the Earth over at least one Martian year. These Doppler measurements will be used to obtain Mars orientation and rotation in space (precession and nutations, and length-of-day variations) as well as polar motion. 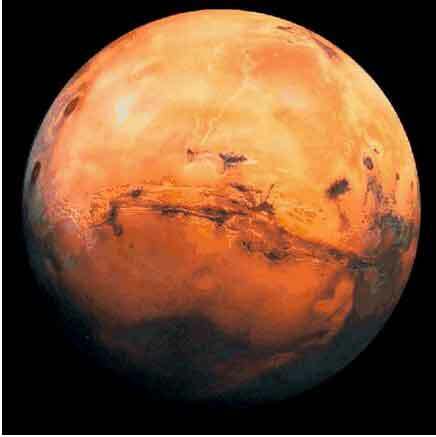 The ultimate objectives are to obtain information on Mars' interior and on the sublimation/condensation process of CO2. This is possible since one will be able to obtain the moment of inertia of the whole planet that includes the mantle and the core, the moment of inertia of the core, as well as the seasonal mass transfer between the atmosphere and ice caps. The LaRa instrument is a coherent transponder using one uplink and one downlink in X-band. There is a corresponding ground segment in the experiment since the signal is observed by the DSN deep space network as well as by the ESA tracking stations. The complicated part of the experiment is the analysis of the data, which will be done using dedicated software built for the determination of the variations in lander position as a function of time. The LaRa experiment will be used jointly with the other experiments of GEP in order to obtain the maximum amount of information about the interior of Mars and consequently about its formation and evolution, in complying with the ExoMars objective "To investigate the planet's deep interior to better understand Mars's evolution and habitability". A first prototype is being built presently by Orban Microwave Products (OMP), the Belgian industry that is building LaRa. In addition to the models that will be delivered prior to the launch, the LaRa instrument will be tested for its ability to receive and transmit correctly at the dedicated frequencies. LaRa will also be tested for the space qualification and will be compliant with the planetary protection rules. These tests will be performed by the Centre Spatial de Liege (CSL).